More JG 54 Friedrichs from the Finnish wartime photo archive - these high-res downloadable photographs from the Finnish Wartime Photograph Archive can be viewed, used and downloaded by anyone. I have re-sized these particular images so that they load easily on this blog; click on the image here to view large. When you publish a photograph from the archive, you should mention "SA-kuva" as the source. 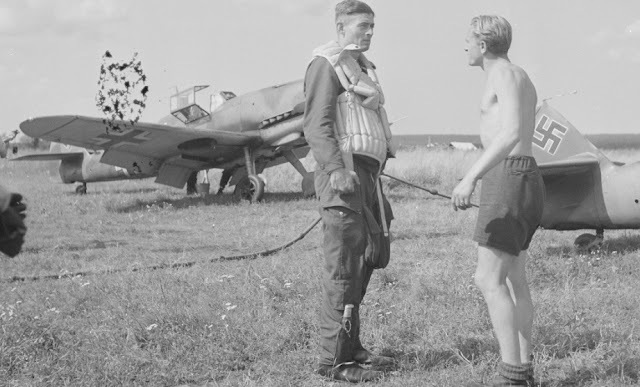 (This means "Finnish Armed Forces photograph" in Finnish.) Please note that you can only conduct searches in Finnish - only 160,000 images to search through! These images of I./ JG 54 machines were photographed at Petäjärvi during August 1942..
thanks to Rémi for the pointer to this clear image of a fire-damaged Fw 190. 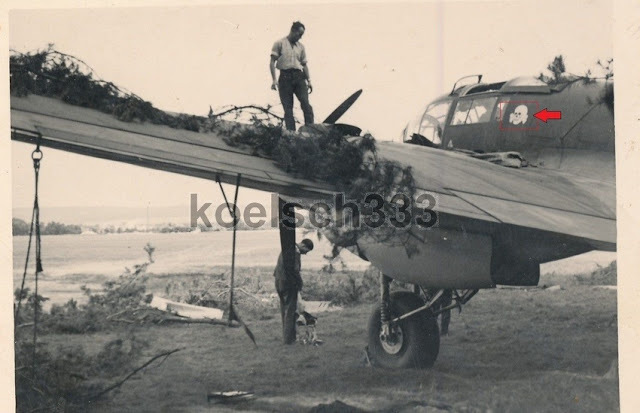 And to Tomas for spotting that this was one of several images of this fire-damaged A-2/3 (note the tail fin) to appear in issue 1 of 'Wings of the Black Cross'. 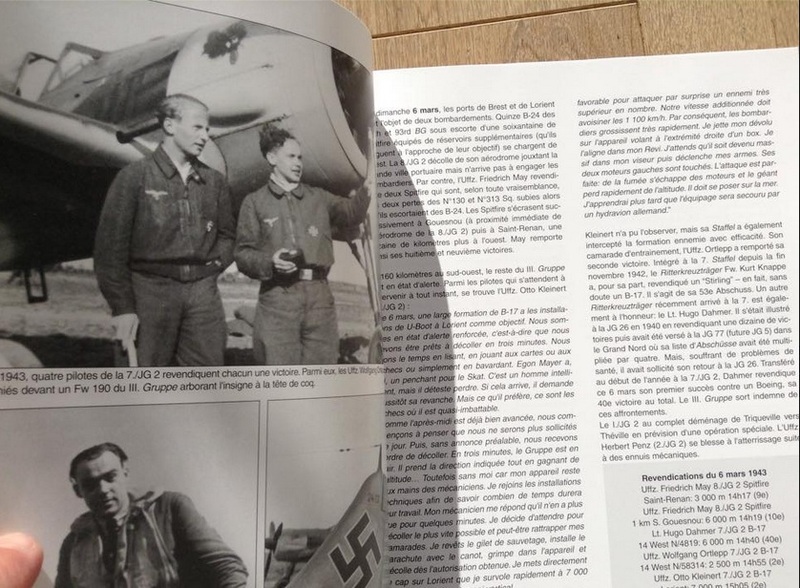 According to that publication this is 'Red 17' WNr. 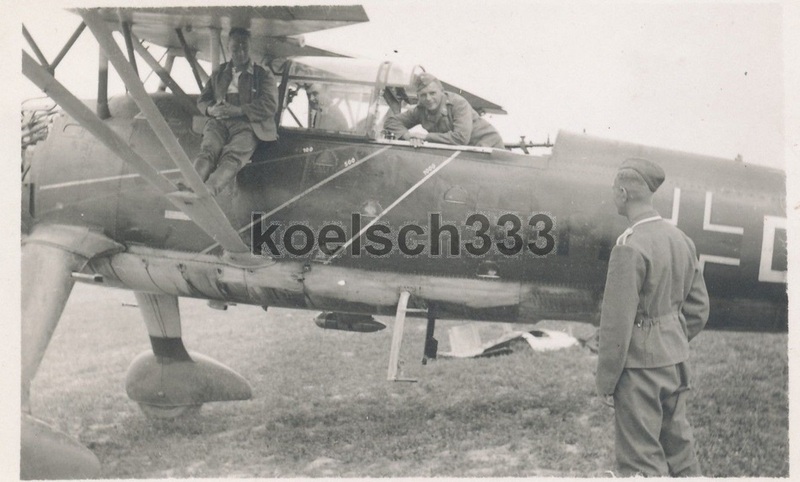 513..
Seen in the summer of 1944 on the Eastern Front, this is a Ju 88 G of 6./NJG 100 in Krumovo/Bulgaria where this Staffel was established in May 1944 by the renaming of 4./NJG 200. Wart in the photo is Friedrich Quathammer. Probably a G-1, note the code 'P'. 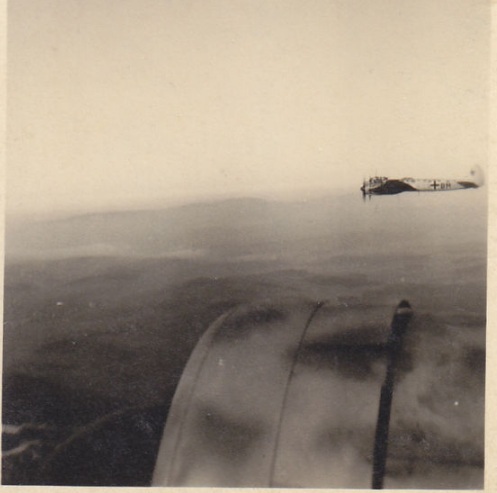 Click on the image to view large..
Ju 88 G "W7+BM" of 4./NJG 200 seen on 2 February 1944 airborne on a flight from Lüben to Neuburg. 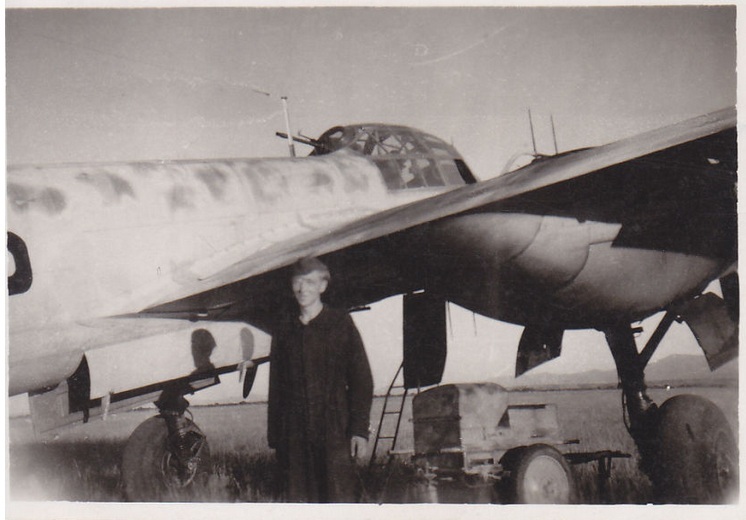 Me 109 E of the Stab III./ZG 1 - Gruppenkommandeur Hptm. 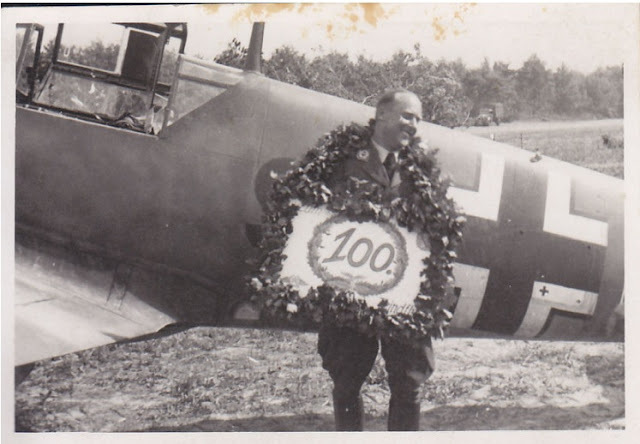 Roland Bohrt seen being feted on his 100th Feindflug in June 1942 in Belgorod. 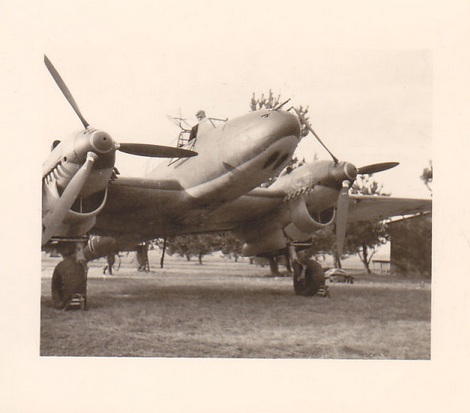 Bohrt was shot down later that year in North Africa, falling east of El Alamein in "S9+AD" on 1 September 1942. He died in a field hospital on 9 September 1942. 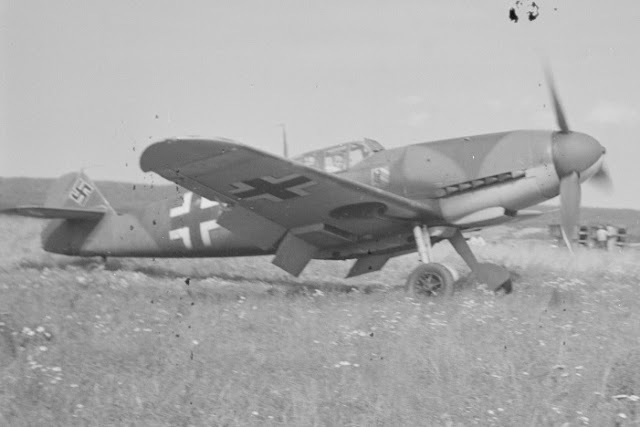 Me 109 E-7/B coded "S9+BS" of 8./ZG 1 in Belgorod in central Russia north of Kharkov following a landing accident, June 1942. 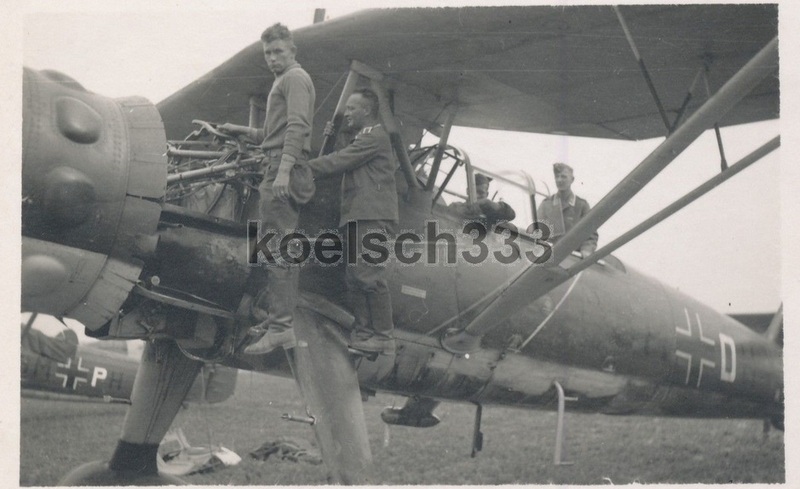 See the photo selection on pages 20-25 of the Stipdonk/Meyer Zerstörer-und Nachtjagdverbände Teil 2. 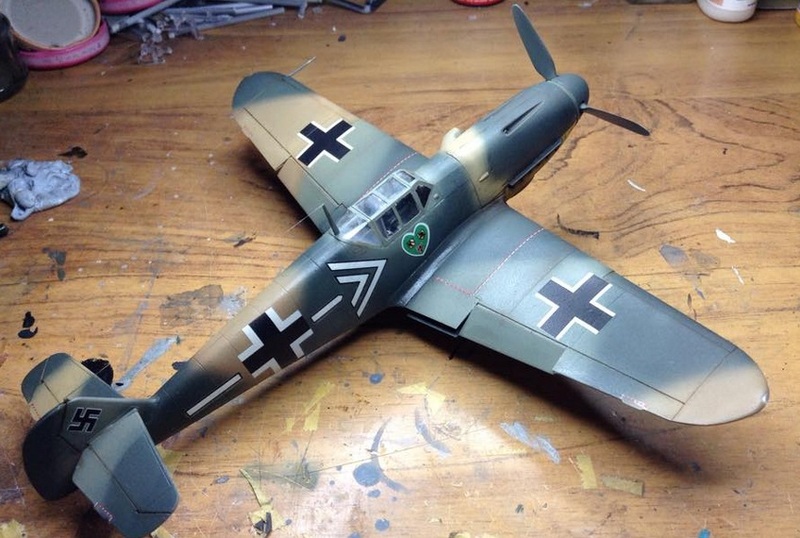 "S9+AS" is illustrated by Claes Sundin in his 'Luftwaffe Attack aircraft " on this blog here. 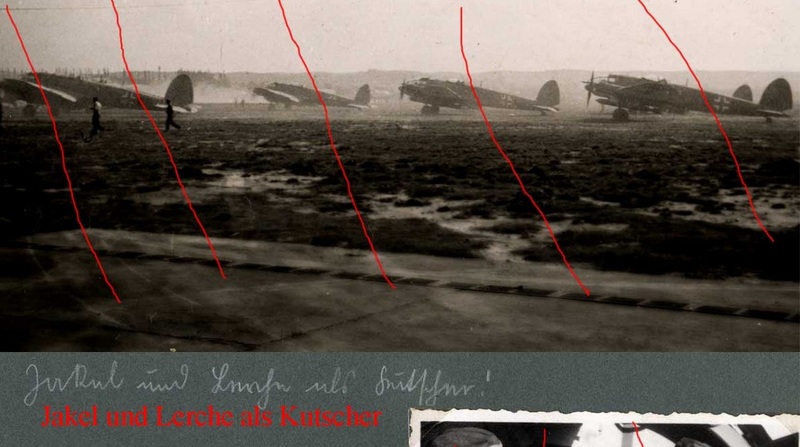 The 'unknown' Staffelkapitän that Claes mentions in his artwork caption was probably Oblt. 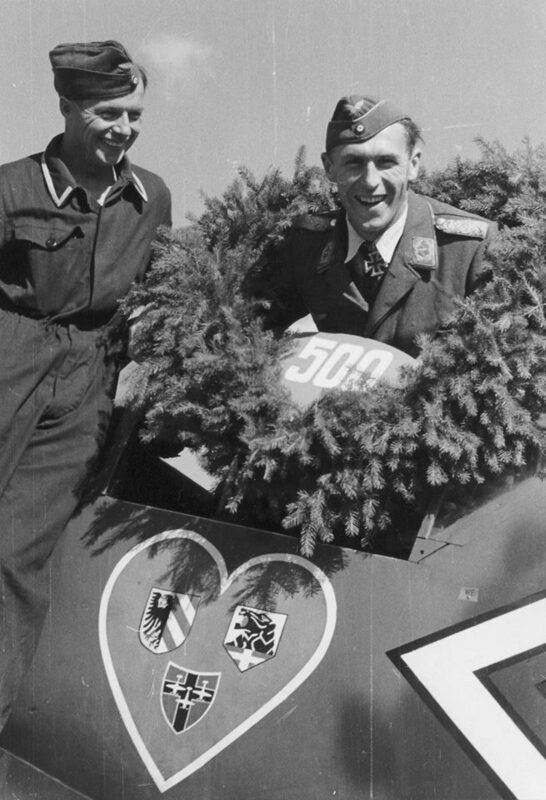 Geert Holeisen. 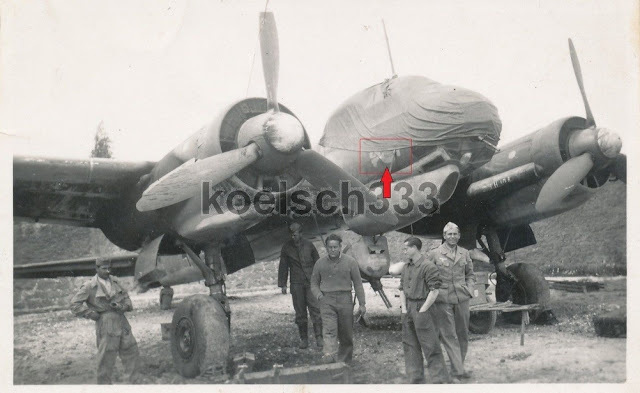 Thanks to Jes for pointing out that there are 2 colour shots of this a/c in Prien's Jagdfliegerverbände Teil 9/III p. 54-55 which confirm the three-colour camouflage finish. 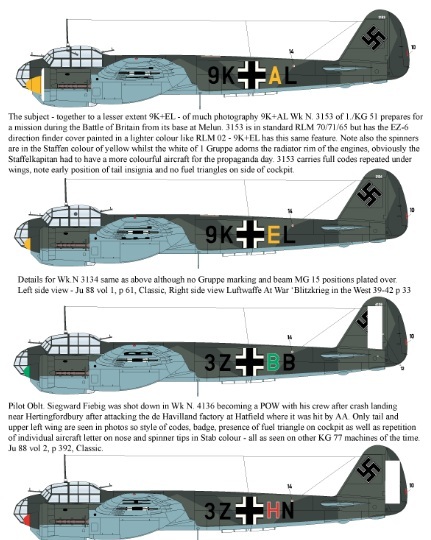 See also the lower photo (bottom) here which shows a better demarcation of the three upper surface colours but with the addition of a theatre band around the fuselage Balkenkreuz so further 'over' painting can not be ruled out..
new from AIMS and maybe still in time for some of the Battle of Britain Group builds currently running, is this comprehensive sheet devoted to early Junkers Ju 88s. 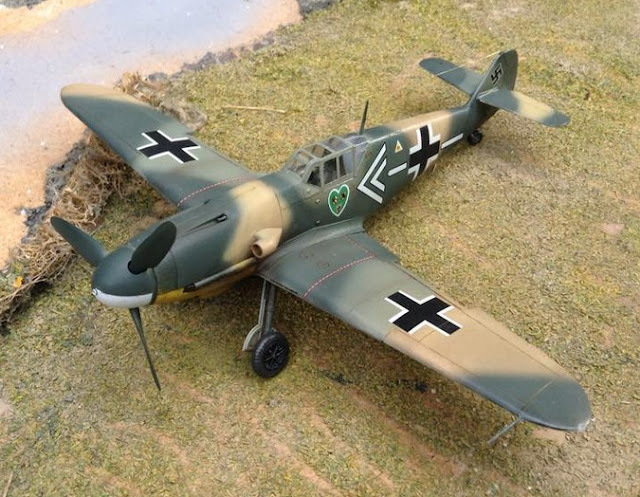 Covering machines from all the leading KGs - KG 51, KG 30, KG 77 - the sheet provides a range of codes and badges enabling the modeller to build some representative aircraft most of which are well covered by references. 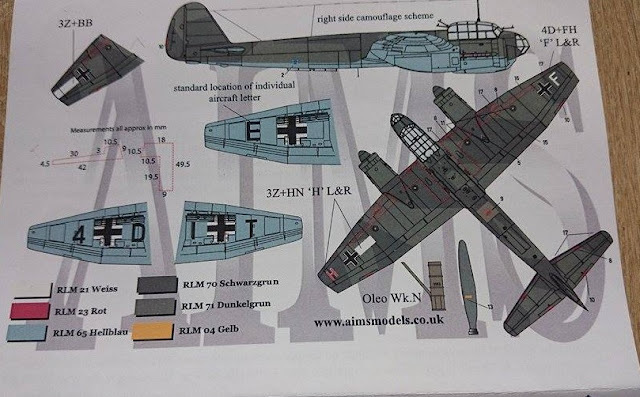 As usual with AIMS you get full colour artwork instructions, general upper surface camouflage lay-out with full colour key. 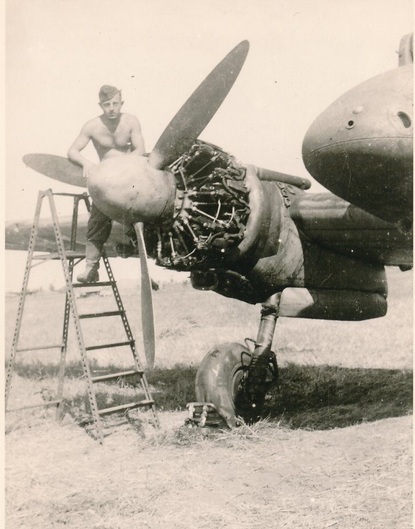 and some of the history behind the subject aircraft with details of the crews' fates. 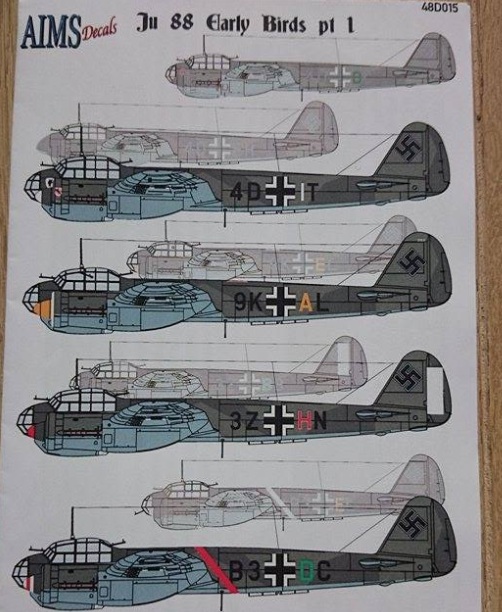 Even if you don't intend to model an early Ju 88 just at the moment it goes without saying that this sheet is well worth adding to the library. 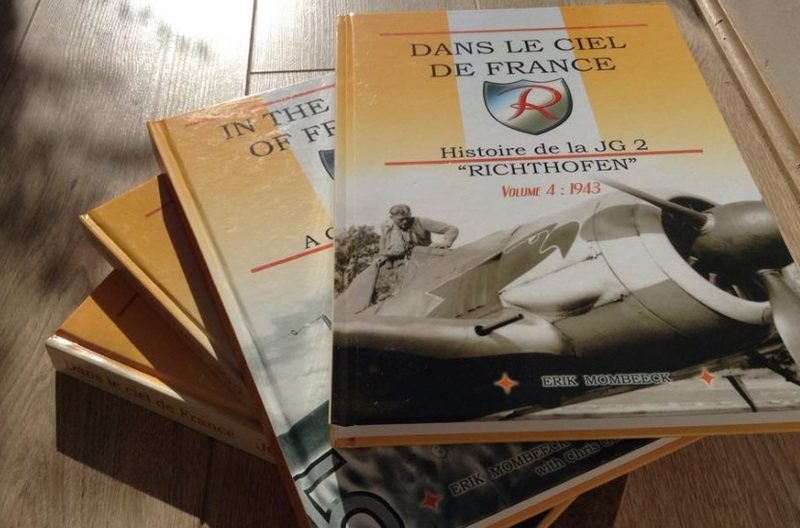 Subjects include 9K+AL Wk N. 3153 of 1./KG 51 based during the Battle at Melun. 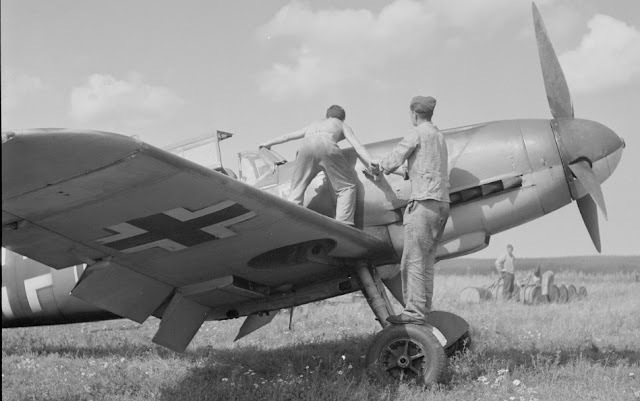 3153 is in standard RLM 70/71/65 but has the EZ-6 direction finder cover painted in a lighter colour like RLM 02 with yellow spinners whilst the white of 1 Gruppe adorns the radiator rim of the engines, obviously the Staffelkapitän had to have a more colourful aircraft for the propaganda day. 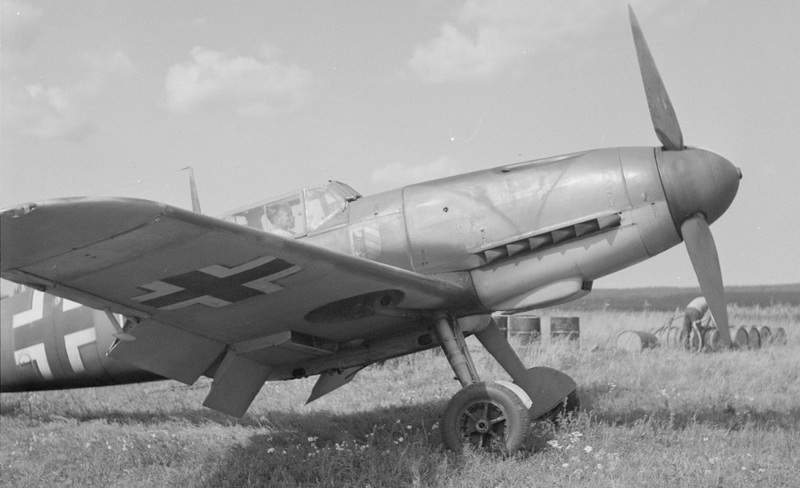 3153 carries full codes repeated under wings, note early position of tail insignia and no fuel triangles on side of cockpit. 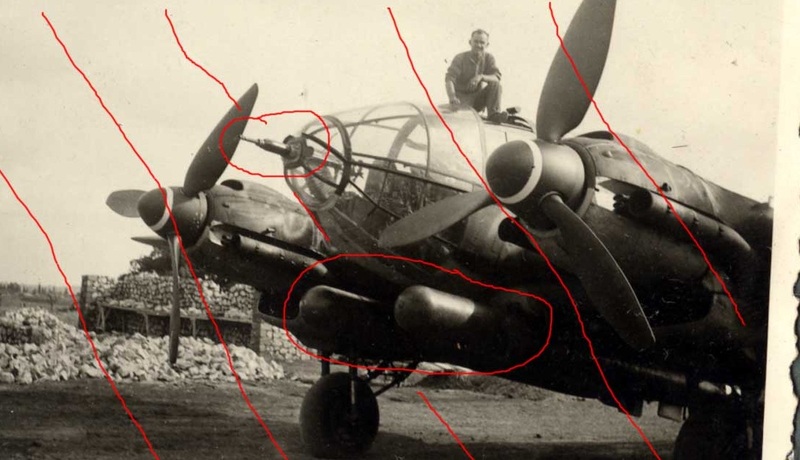 3Z+BB Pilot Oblt. 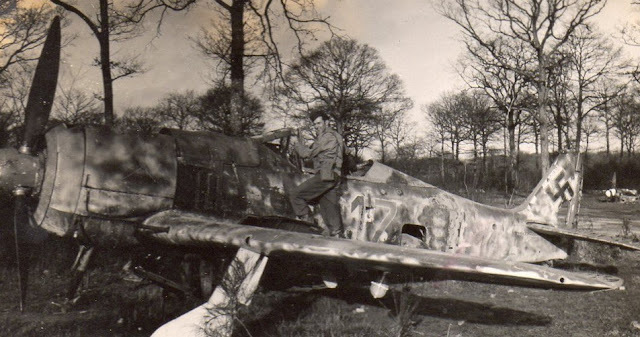 Siegward Fiebig was shot down in Wk N. 4136 becoming a POW with his crew after crash landing near Hertingfordbury after attacking the de Havilland factory at Hatfield where it was hit by AA. 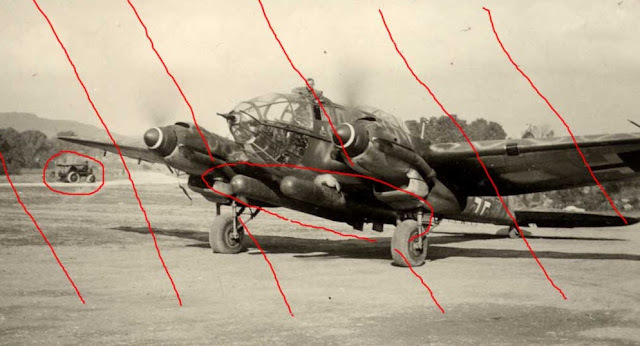 Only tail and upper left wing are seen in photos so style of codes, badge, presence of fuel triangle on cockpit as well as repetition of individual aircraft letter on nose and spinner tips in Stab colour - all as seen on other KG 77 machines of the time. Ju 88 vol 2, p 392, Classic. 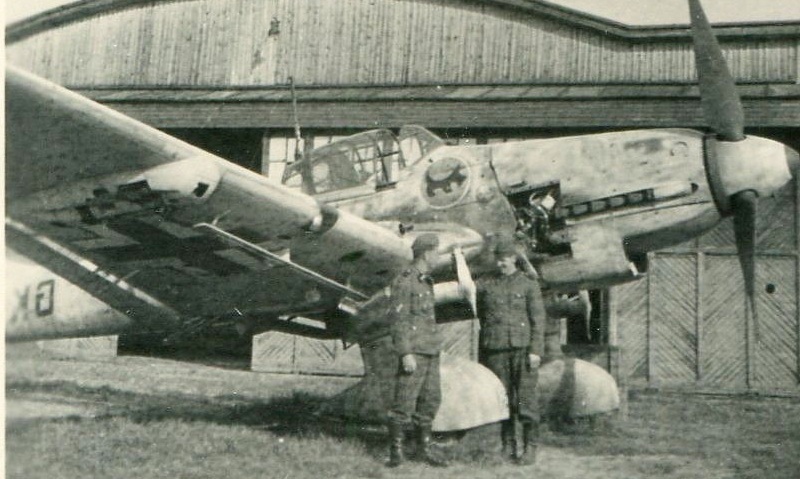 Bf 109 F-4s "detachment Philipp" of I./JG 54 at Petäjärvi airfield on the Karelian Isthmus. Finnish archive pics of Bf 109 F-4s of "detachment Philipp" of I./JG 54 at Petäjärvi airfield on the Karelian Isthmus. 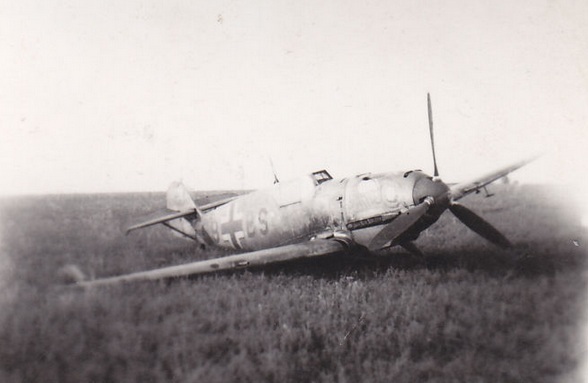 They were covering a German-Italian naval unit on Lake Ladoga from 1st July until October 1942. 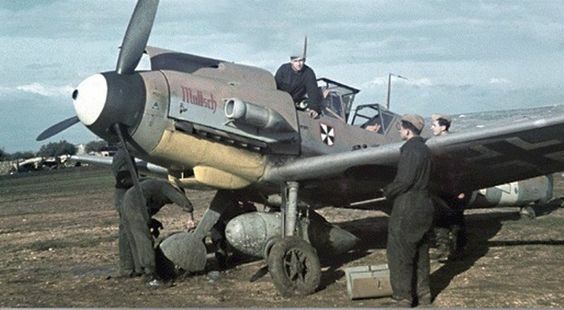 Some of these images appear in several Finnish books of the Luftwaffe in Finland and Norway. ..four volumes of Erik Mombeeck's self-published history of JG 2...the latest tome in the series covers 1943 and the increasingly ferocious large-scale combats against USAF B-17s over France.. 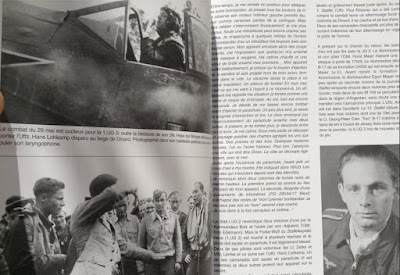 "..Suddenly over the radio I heard someone call out, ' the boss has been hit!.' I was unable to respond; thick smoke filled the cockpit. 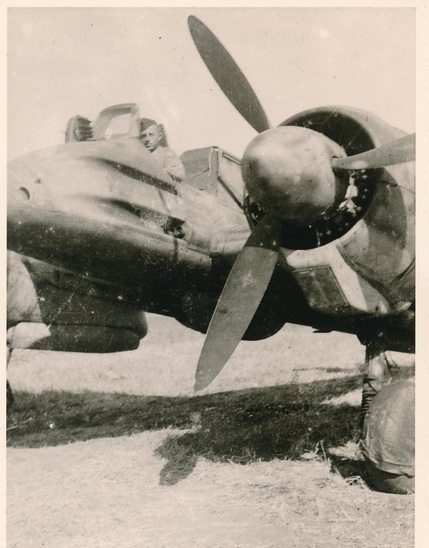 I pulled back the side window to let the air in and caught sight of my badly damaged port wing! 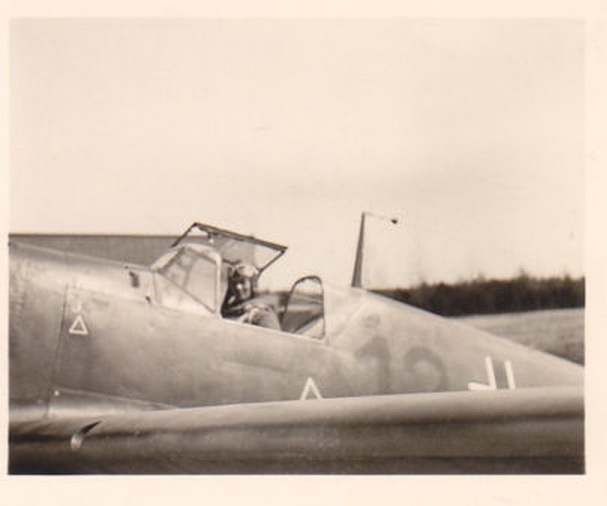 My fuselage was glistening with a slick of oil and I was trailing a plume of thick black smoke. 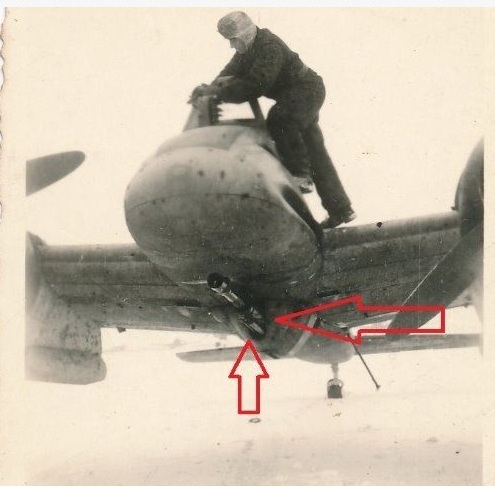 Engine revs had dropped back to 1,200. 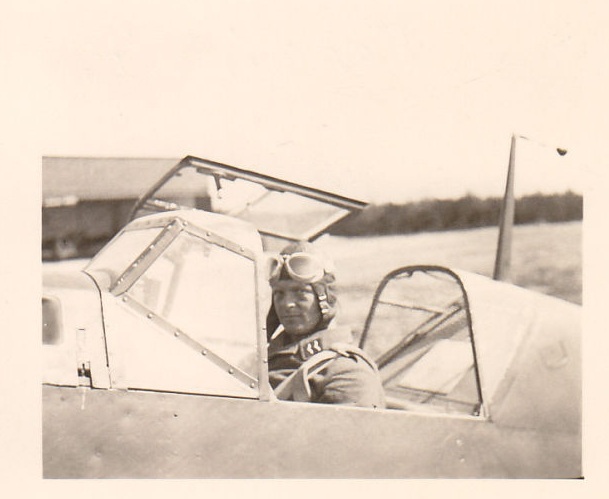 I quickly chopped the throttle and set up to glide back into Beaumont. 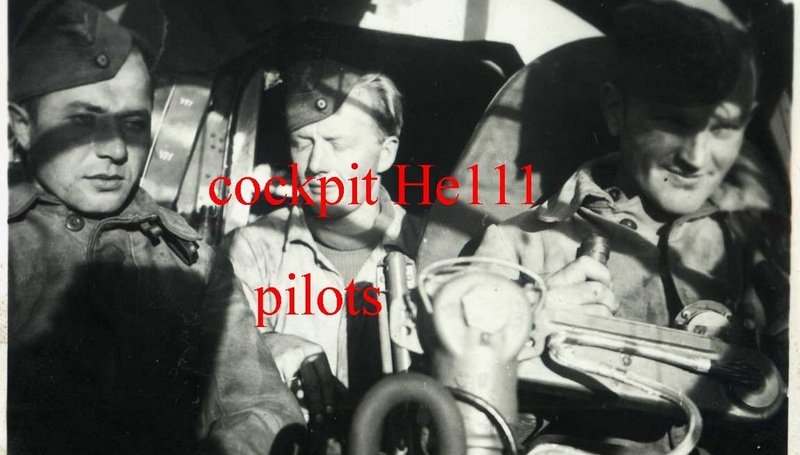 The smoke in the cabin had meanwhile dissipated but the smell of burning caught in my throat. 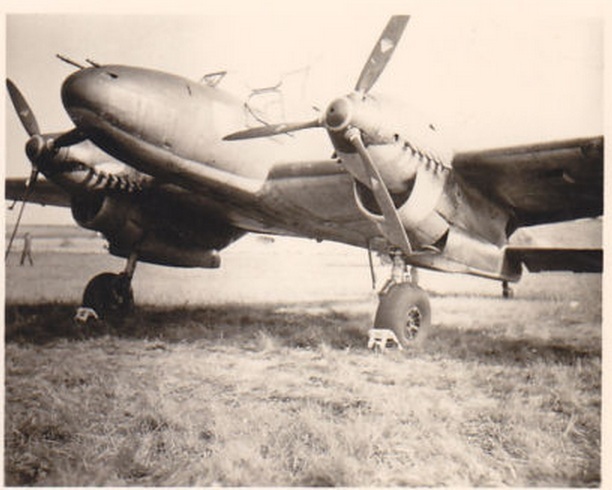 Flames darted from underneath the engine cowlings. 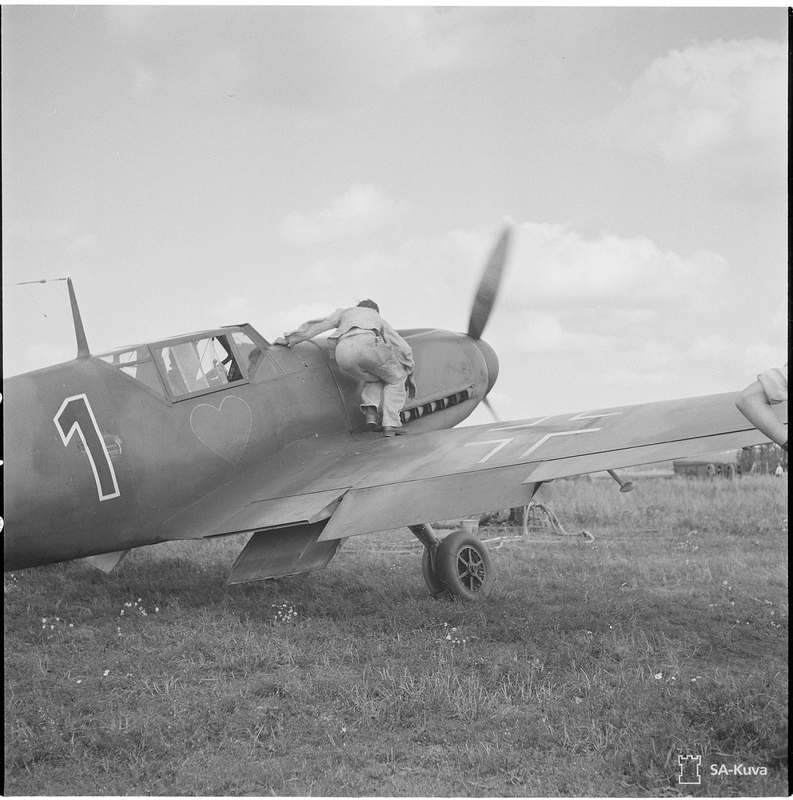 I was now over the western perimeter of the airfield at 500 metres and made the decision to jump while I still could. I unbuckled my harness, jettisoned the canopy and shot a last glance around the cockpit. 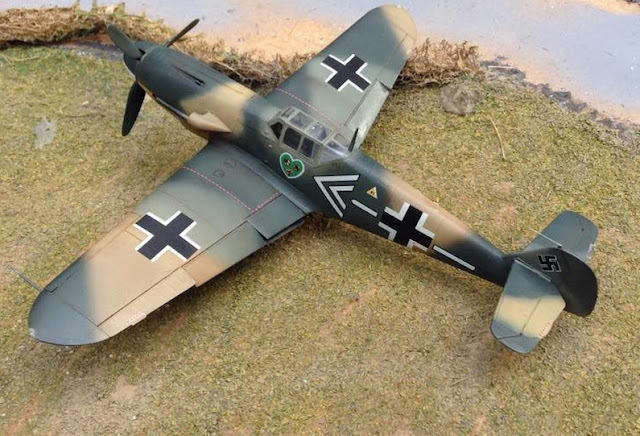 Just then I saw it...on the floor of the cockpit between my feet, pieces of silk from my parachute. There was no way I could use it now. 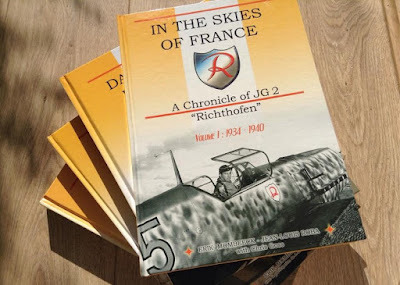 My chances of baling out had gone...."
"...Hi Neil, I must admit I haven't got volumes 2 and 3 yet. It's quite an investment for something I wasn't sure I'd be able to read. Vol. 4 covers the big raid on Ashford, so I thought it would be worth getting. 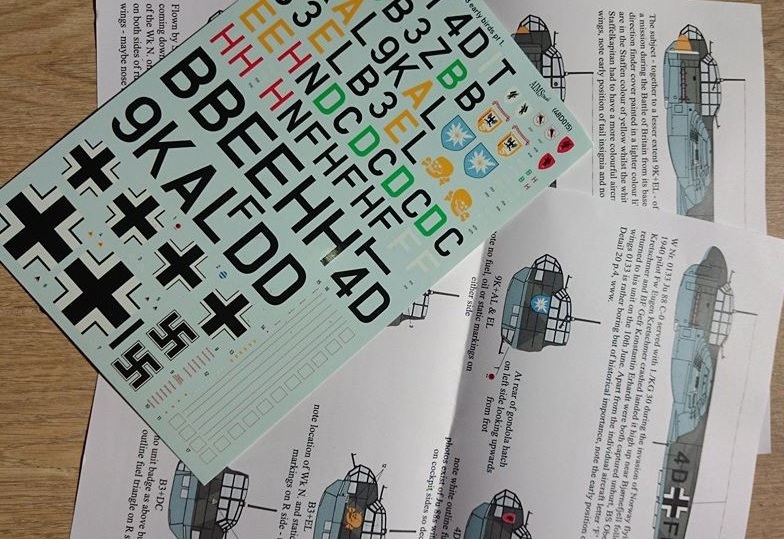 It's surprising how much of the text I can actually understand. I'll have to save some money for the other two volumes now..."
available in English translation, while Vols I & II are also in German. And I'm just blown away by the photos! 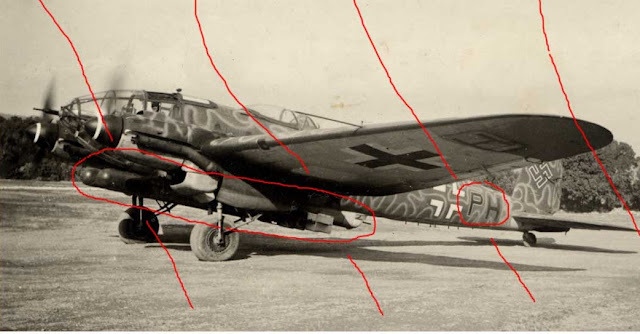 (again!) 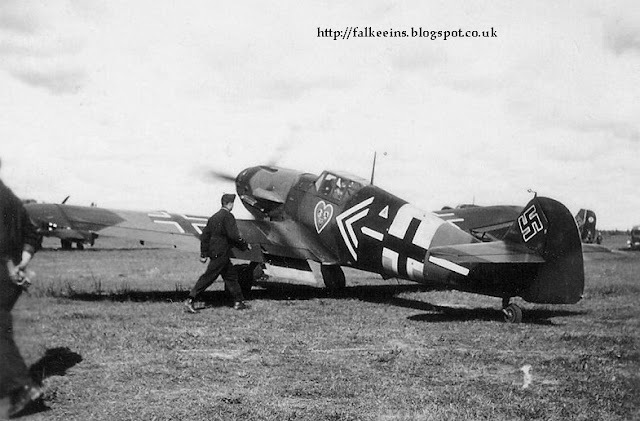 - more 2./ JG 2 night-fighters anyone? 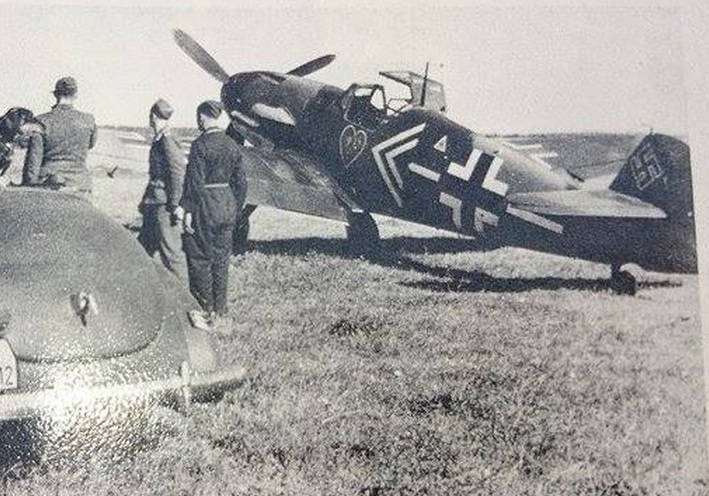 neat view of Ju 88 C-2 "R4+EL" WNr 0736 of 3./NJG 2 crash landed by Flugzeugführer Fw Robert Lüddecke (front) on 22 November 1941 at Capodichino-Naples. 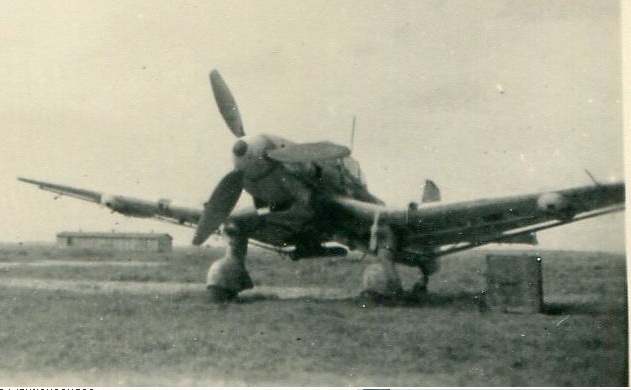 Lüddecke had returned three night victories - Nachtluftsiege - at the time of the incident. Three more from Michael Meyer's current sales.